The Everly Brothers are known throughout the world, as iconic pioneering legends from the early years of American Rock & Roll. Don and Phil Everly created a style of vocal harmonies that was unique in Pop music, and inspired other great artists such as “The Beatles”, “Simon and Garfunkel”, “Chad and Jeremy” and “Peter And Gordon”. Two veteran Entertainers from Detroit, Dennis Charles and Joe Tackett, have now teamed up to re-create and celebrate the genius of The Everly Brothers, by respectfully replicating their look and sound. 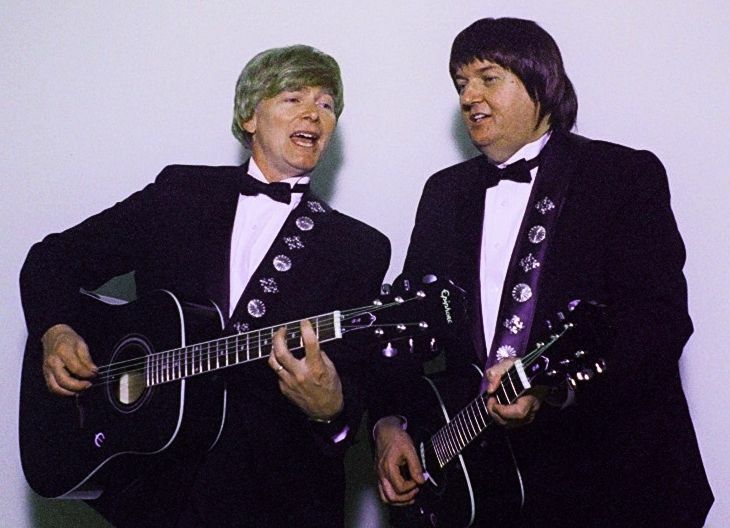 Dennis and Joe are now performing together as The Everly Brothers, and all of the skills they have mastered over many years of entertaining come shining through. If you love the early years of Rock & Roll, then go out and see a performance with Dennis Charles and Joe Tackett, and let your imagination take you back to where it all began. The Everly Brothers Click Here for Audio 1 / 2 / 3.